The City Utilities Collection Division of the Finance Department is located on the bottom floor of City Hall and is open from 8:00 a.m. until 5:00 p.m. You have to appear in person to sign up for utilities to help the City comply with Federal Laws. The City WILL NOT give out specific information about utilities to anyone but the owner of the account. 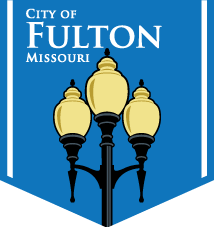 The City of Fulton is a full-service community that offers electric, gas, water, sewer, and solid waste services to its customers. The City operates on a next business day service basis. City Hall hours are 8:00 a.m. to 5:00 p.m., Monday through Friday. A. Fill out a customer request for utility services. We require basic information such as: name, address, phone number, social security number and an emergency contact person and phone number. Any non – U. S. residents or students that do not have a social security number will need to provide their passport. a.) Property owner deposits are $65 for electric, $70 for gas and $15 for water. The deposit on a total electric home is $135 for electric and $15 for water. b.) Tenant deposits are $80 for electric, $100 for gas, and $20 for water. The deposit on a total electric rental property is $185 for electric and $15 for water. In addition, $10 is collected in advance from all residential customers for solid waste service. 2.) Credit letter- New customers may provide us with a letter from their current utility provider stating that there have been no late payments for the past 24 months. 3.) Co-signer- Any current City of Fulton customer in good standing with no late payments for the past 24 months can be a co-signer on new utility accounts. 1.) Deposit- Commercial deposits are based on expected consumption. For further details please contact the Accounting Supervisor at (573) 592-3111. 2.) Letter of Credit- New commercial customers may provide us with a letter of credit from a financial institution in lieu of a cash deposit. 3.) Utility Bond- A utility bond from an insurance company assuming responsibility in the event of default will also be accepted from commercial customers in lieu of a cash deposit. Because every business is different, all commercial customers should contact the City Landfill at (573) 592-3176 to determine what service would be adequate for solid waste removal. Utility bills are mailed the last business day of each month and are due by the 15th of the subsequent month. Penalties of 10% are assessed to accounts not paid by the 15th of the month. Delinquent notices are mailed 7 days prior to shut-off. Shut-offs may be conducted anytime on or after the 25th of the month. There is a $50 reconnection fee per service during regular business hours. City of Fulton Energy Assistance Fund – Contact SERVE or call (573) 592-3111 for more information. City of Fulton residents looking for relief from high utility bills during the summer and winter months can now sign up for Level Billing. But time is limited as the registration deadline is August 1. To qualify, residents must have lived at their current address for at least one year. The previous 12 month utility bill average then becomes the new monthly bill amount. Those failing to sign up before the deadline will have to wait until May to next enroll. And residents already participating in Level Billing do not need to take any action to remain in the program for the following year’s billing cycle. If the predicted low temperature for shut-off day is 32°F or below, the City will not shut-off electric. Water service will be shut-off instead. If there are delinquent electric customers who do not have water service, their service may be shut-off as soon as the predicted low temperature is above 32°F. If the predicted low temperature for shut-off day is 15°F or below, the City will not shut-off any utilities. Shut-offs will be done as soon as the predicted low temperature is above 15°F.